Have you people heard of TWITTER? If your answer is NO then all you need to know is that I invented twitter. If your answer is YES then know this I am currently hunting for an Indian company that provides IT support to twitter so that I can invest in it. 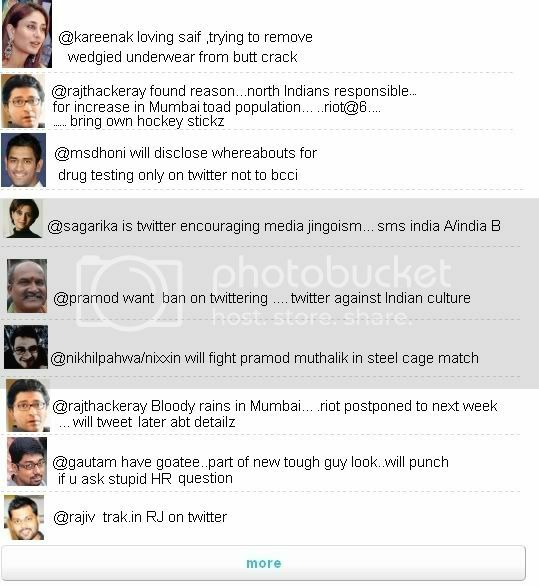 I have always said this “To Blog Is Human But To Tweet Is Divine”. Twitter is the voice of Generation X or Generation Y or Generation Z or whichever generation we’re in right now. Hey what do I have to do become even more famous than I already am? I mean I’m already a billionaire, the world’s 1062nd richest man, India’s most famous investor, master company controller, chief of the Brothers Of Equity, father of twin children and the Biggest BULL on the Indian markets among other things. I already have a blog where I tell people that ‘I Always Knew That I Was Going To Be Rich. I Never Doubted It For A Minute ©’. If anyone else uses this line then I will find you, hunt you down if you hide from me, kill you ,chop you, slash you ,pound you,slice,mash,thrash and bash your bones. Burn your entire body into the decomposite refuse of a Chinese sweatshop industry and feed your ashes to a pack of hungry wild dogs after which I’ll once again burn their poop and scatter those ashes into the universe by mounting what’s left of your pathetic line stealing hell bound carcass on the next NASA space shuttle which will then disperse it into the infinite cosmos---got that? The name is Bhai, Rakesh Bhai. 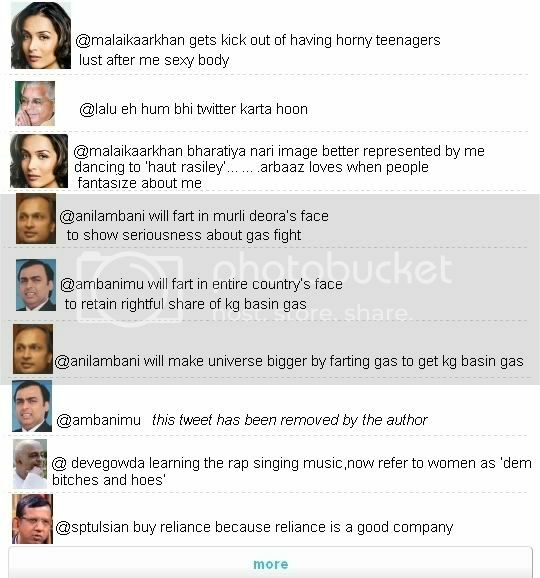 Or I’ll do what Uday Chopra has done and tweet about it on twitter. 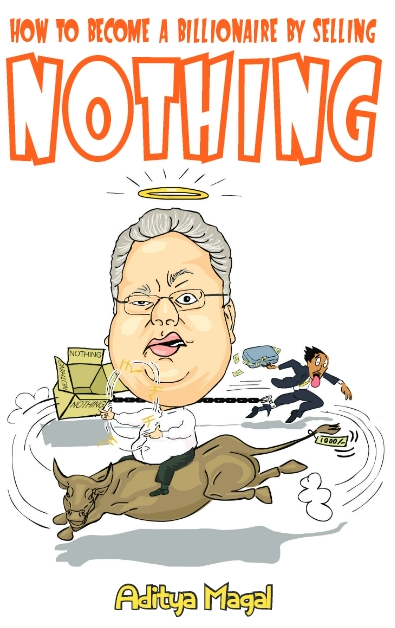 Rakesh Jhunjhunwala is now on twitter, that’s right the coolest man on the planet is doing the coolest thing on the planet. 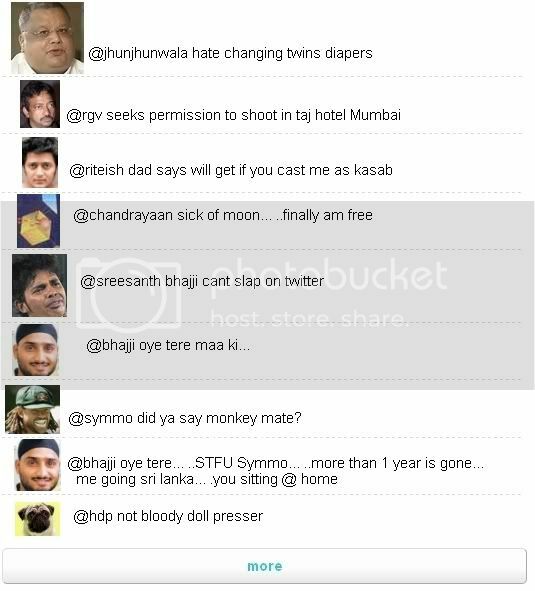 Ladies and Gentleman, Get Ready, RJ on twitter is even more dangerous than RJ on Blogger. 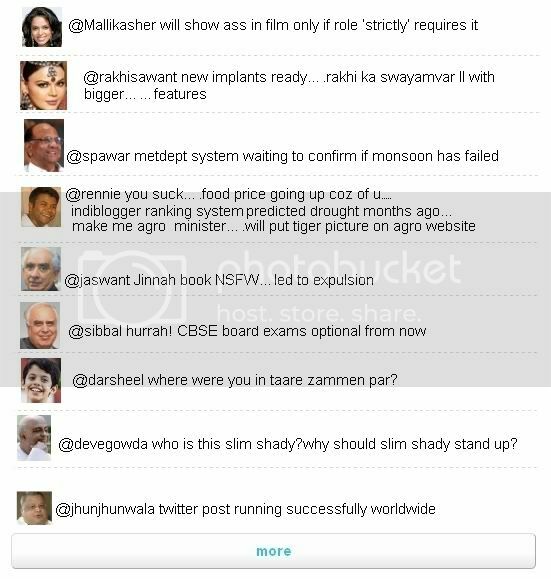 Just check out my twitter page and see all my famous and infamous friends chilling out with me. !!!!!!! Take The Mamata Banerjee Dating Quiz. Find The Right Man Or Woman, Right Now!!!!!! Catch the all new adventures of Rocky J on Twitter. Now that I’ve proved my point about Twitter. Get with the program. Sign up for twitter. Follow my tweets and start by re-tweeting this post. Hey there! 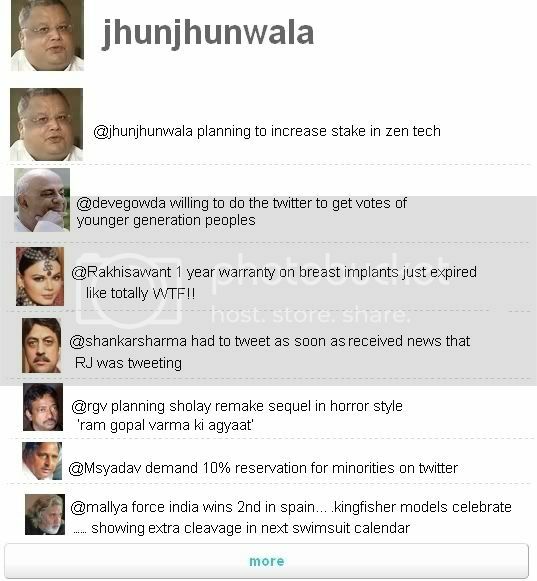 jhunjhunwala is using Twitter.